Mara Explorers Camp works closely with Ole Keene Primary School located 1 kilometer away. The school is desperately underfunded and is always in need of supplies for its teachers and students. Many of the 230 students come from very poor families and the school is not covered by the government’s school feeding program, meaning malnutrition is a big problem. For this reason we came up with the idea of The Porridge Project which provides the school students with porridge for lunch every day. For every guest who stays with us we donate KES 200 from our en suite rooms, KES 100 from our budget tents and KES 50 from camping and children between 3-12yrs per night which goes into sustaining the running of our porridge project and other development projects at Ole Keene School. We work together with the headmaster on development projects including classroom repairs, fencing and our current on-going project is to build a new school kitchen and store which will eventually be expanded to create a dining area for the students. 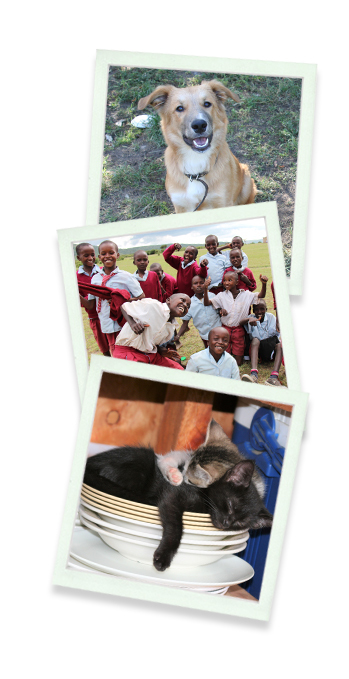 KSPCA has grown since its inception in 1910 and is well known today for animal rescue and rehabilitation. In a developing country, funds are not readily available for animals as there are so many human problems. They help those people living in poverty to manage and understand their animals better so that there is mutual benefit and firmly believe that educating the younger generations is the way forward as far as raising the standards of animal care is concerned in the future. Over the last 20 years Kenyans attitude towards animals is slowly changing but there is still a long way to go. KSPCA is close to Mara Explorers heart as two of our beautiful camp dogs, Daisy and Dikdik, are from their Naivasha branch.